Welcome to LibGuides at the Cowan - Blakley Memorial Library! Subject guides are developed by librarians to help with specific research needs by subject. These guides will help users find the most relevant information provided by the library, both print and online. Click on a subject below to find subject-specific resources. Looking for a guide for a particular class? Click on Course Guides to see a list of these more focused guides. If you need help, please don't hesistate contact us at 972-721-5315 or reference@udallas.edu! 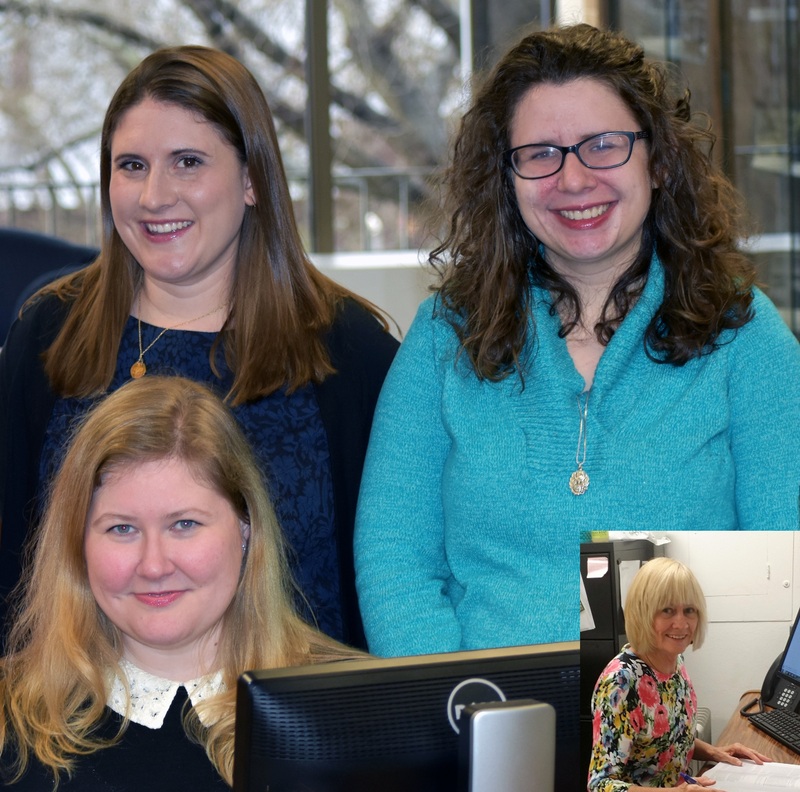 Please feel free to talk to our reference librarians! We are always happy to help. Contacting the reference desk is the fastest way to get an answer to your question or get specific questions forwarded to your subject specialist. Lauren Younger (standing, left), Liz Barksdale (standing, right), Zannah Buck (seated) and Susan Vaughan (insert on bottom right).